It's no surprise, given our long-standing relationship and integration with Microsoft's solutions, as well as our mutual enterprise customers, that we'll be attending the Microsoft Ignite event again this year. Come to Booth 108, where we'll be answering questions and demoing the Men & Mice Suite. But if you want to learn more about Men & Mice and Microsoft, here's some information that can help you understand our compatibility and how that may be beneficial to your network infrastructure management and operations. Robust and trusted: magic words in any enterprise IT environment. Microsoft has been able to largely dominate this space because its products are robust and its reputation is trusted. Enterprise IT professionals understand the value accountability that their network infrastructure solutions brings to the table. With the Men & Mice Suite for DNS, DHCP and IPAM (DDI), you can leverage your existing Microsoft investments without replacing hardware or adding additional appliances. Trusted for decades by the architects and managers overseeing some of the world’s largest network infrastructures, Men & Mice offers simplified integration, advanced control, and improved security. What makes the Men & Mice DDI Suite valuable? Using Men & Mice’s software solutions with your existing Microsoft environment has numerous important advantages through our architecture, Active Directory and Azure integration. The more robust a network is, the more complex it becomes. 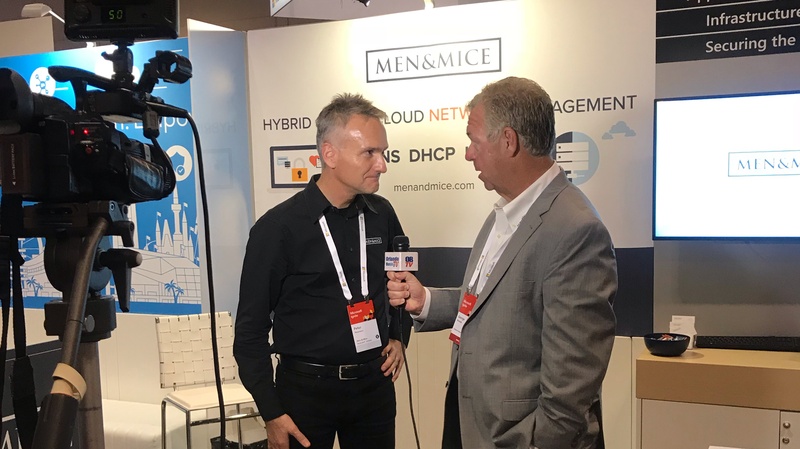 Men & Mice, simply put, ‘takes the daunt’ out of network management, while still staying robust and providing the ever-expanding features and support our customers came to trust. As you scale to meet your expanding networking needs, Men & Mice offers you flexibility, portability, and complete management - all while cutting operational expenses and strengthening overall network resilience. Any vendor-specific appliance, including Microsoft, works best in their own homogenous environment. But the everyday realities of life rarely afford businesses the luxury of such. Once a foreign element, from another vendor or from the same but in another location, is given entry to the network, the chances for strategic disconnect and vulnerabilities multiply. The Men & Mice suite (now at version 9.1) is an overlay DDI solution. Its architecture is designed to intuitively integrate with a Microsoft infrastructure environment or multi-vendor, multi-platform networks. The Men & Mice Suite takes care of coordinating between hardware, software, no matter where they are or where they’re from. It unifies resources under a single-pane-of-glass interface, and can be deployed non-destructively. A powerful API serves the users for automation, while redundancies and fine-tuned access control ensures security. Easy and automated migration of data from server to server, or between on-prem and cloud. Having everything at your disposal all the time can often result in complicated, slow processes for even the simplest tasks. We’ve cut down on the noise, deploying our wealth of experience working with and listening to enterprise IT professionals, to identify the most common tasks. Our customers are the customers of Microsoft as well: we support their needs and investments in IT. Microsoft takes their cloud strategy seriously, and so do we. We've been working closely with various solutions teams at Microsoft to build compatibility into the Men & Mice Suite. For example, we were the first to offer comprehensive support for Windows Server 2016 (including zone scope and DNS policies) and Azure DNS. Cloud-native integration with Azure and Azure DNS. It's only natural that the same compatibility, ease-of-use, security, and portability that our customers got used to with regards to Microsoft’s existing software and Active Directory, exists for Azure DNS as well.